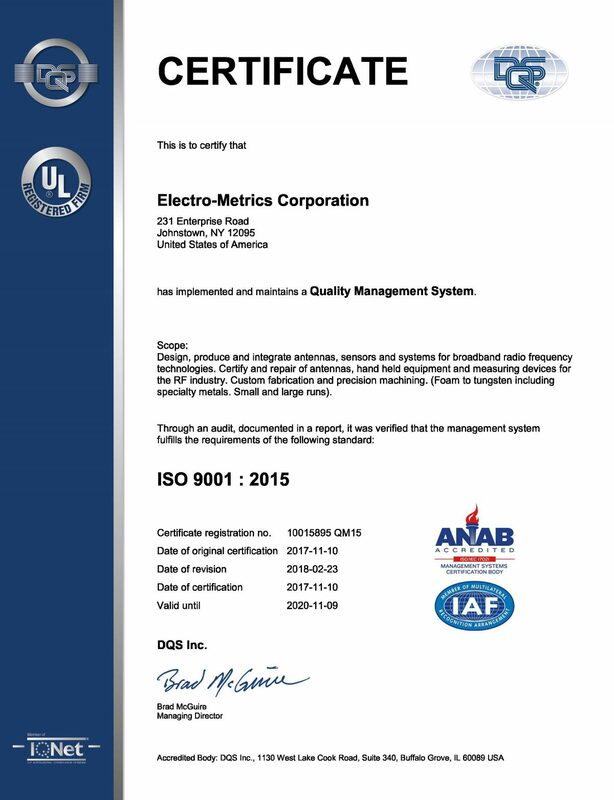 Electro-Metrics Corporation quality management system is registered and has demonstrated to be in conformance with the requirements of ISO 9001. Design, Produce and integrate antennas, sensors and systems for broadband radio frequency technologies. Certify and repair of antennas, hand held equipment and measuring devices for the RF industry. Custom fabrication and precision machining. (Foam to tungsten including specialty metals. Small and large runs). Electro- Metrics Corporation is committed to providing you with superior products and services. All orders are subject to final inspection by qualified Quality Assurance Inspectors. We utilize Military based sampling plans or can inspect to your specific requirements. We maintain traceability for products and are able to offer certifications of compliance as well as raw material certifications as specified in purchase order. 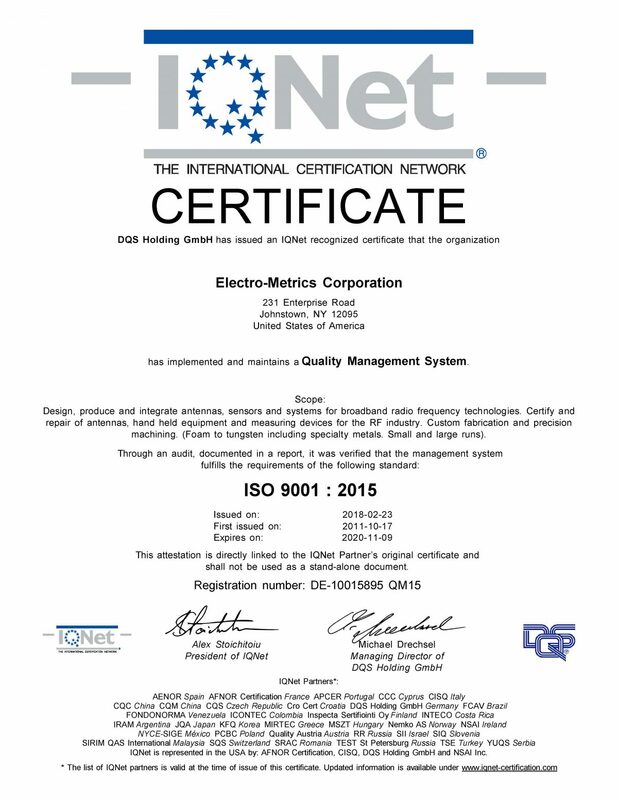 We utilize our quality management system as a foundation to promote team involvement and continuous improvement.